2 days, 10 speakers, 45 minutes each. Code Chrysalis is excited to announce our first BIG MiniConf! 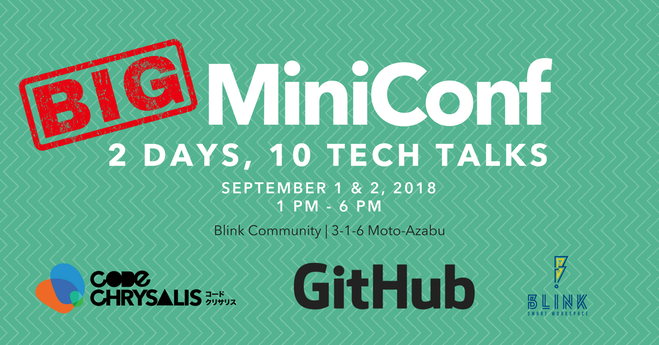 Big MiniConf will take place over two days at Blink Community, and include ten 45-minute talks on decentralized applications, pathfinding algorithms, React Native development, Unity, SQL, and more! As usual, this event is free! DROP IN WHENEVER. Sponsored by GitHub. Big MiniConf has been published!